Donations will go towards travel, accommodations, meals, guided tours, and entry fees to monuments and museums. The Washington DC Intersession trip is self-funded. Donations are vital to make it affordable for every student to go on this once-in-a-lifetime educational tour. 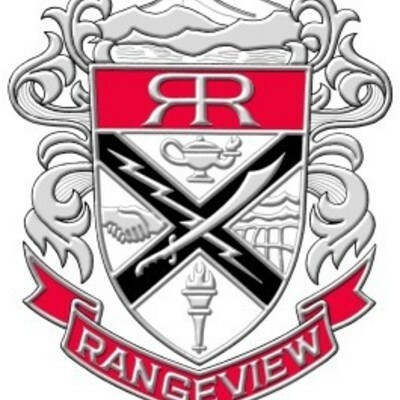 Rangeview High School family, friends, and fans - Thank you so much for taking the time to view our fundraiser page. Your support will help us offer a higher quality experience for all our students. Your donation is tax deductible and you will be getting a receipt for your gift. If you could please spread the word about our fundraiser by sharing it with your friends on Facebook and Twitter we would greatly appreciate it. Our young men and women have been working hard to properly represent this great school and town. Any support is greatly appreciated! This will help towards the entire tour cost for one student. Every donation counts, thank you for the support! "You will do great things. - Good Luck! RHS '91"
"I went to Washington DC as a member of CloseUP when I attended Rangeview. Have fun! " "Hey Anaya, be a bird fly Fly to Your destined Height. This is for you girl"
"Have a great trip. We look forward to hearing about your experiences." "You are a special student, and we all look forward to hearing great things. " "Have a great trip! I can't wait to hear about the experiences you walk away with!" "Deron, Please enjoy in DC... Love your Cousin John Anthony"
"Can't wait for you to explore DC! Good Luck and let me know how else I can help!"